"I wanna go there"! Yep I sure do. Right now, today, pack my bags and take me away. I am going to hide in one of these beautiful vignettes, away from the hustle and bustle and retreat in pure bliss. Well til' Thursday that is. smiles. Rumor has it that I will have to share my paradise. Til' then escape with me into a world of peaceful retreat, surrounded by inspiration and relaxation. 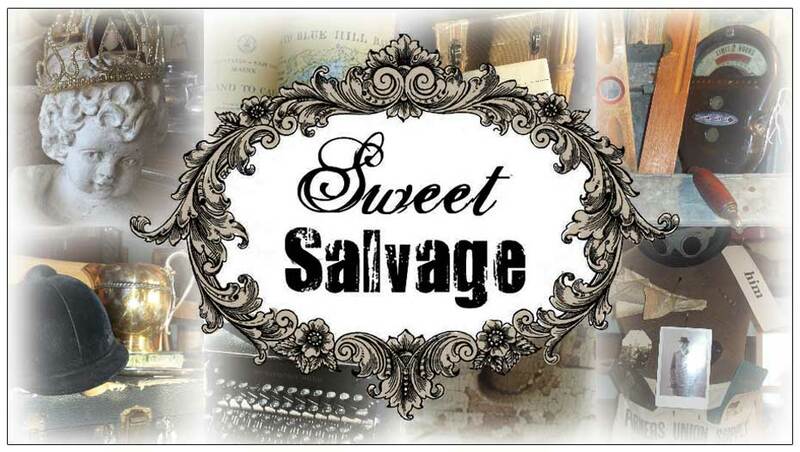 I'm visiting from Utah...made sure I would be here for Sweet Salvage this month. I love the silver trays & the old leather books. Can't wait til Thursday! Your displays are totally inspiring!! We can't wait to see these Sweet Vingettes. We can't wait to see these "Sweet Vingettes"
We can't wait to see these "Sweet Vignettes"
I am so excited for tomorrow!